Echinochloa stagnina (Retz) P. Beauv., a widespread semi-aquatic perennial grass, is a key species for the sustainability of many African wetlands. 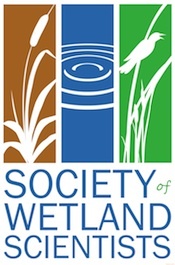 In an effort to assess interactions between hydrological regimes and management strategies targeting conservation, this study focuses on characterizing the growth of a typical East African wet grassland and describing the relative influence of floods and management practices on its growth rates. 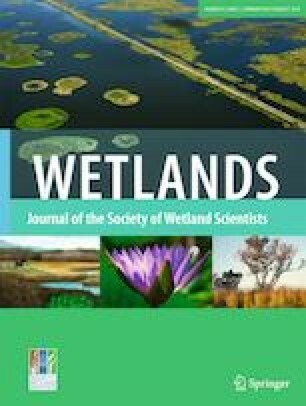 Naturally flooded grassland, subjected to a factorial design protocol with different levels of irrigation and cutting frequencies, was sampled during 15 months in the Tana River Delta, Kenya. Statistical analyses of the data, using linear mixed models accounting for temporal auto-correlation, were undertaken. Reduced cutting frequencies slightly increased growth rates, except under water-limited conditions. Increased water supply had a positive effect on growth rates, the latter noting a five- and ten-fold increase from water-limited to water non-limited to flooded conditions. Floods impacted grasslands by increasing growth rates, which attained very high values of 225 kgDM ha−1 day−1, extending growth period and limiting the negative effect of severe phytomass removal through clipping. These results support the view that rangeland and water management for the Tana River Delta, and more widely for tropical floodplain grasslands, should be jointly undertaken. The online version of this article ( https://doi.org/10.1007/s13157-019-01148-9) contains supplementary material, which is available to authorized users. This work would not have been possible without the consent and help of the Onkolde villagers. We thank our assistants K. Otoi (field work), M. Obunga and C. Chesire (phytomass drying and weighing), the Botanical department of the National Museums of Kenya for botanical expertise (Q. Luke) and C. Dejean (irrigation scheme). This research was funded by the French Ministry of Environment in the framework of the “Eaux et Territoires” program, as part of the GEOPAR project, by the Research Institute for Development and by the LISAH laboratory. N. O. Rode acknowledges funding from the CeMEB LabEx/University of Montpellier.